Full-time employees are eligible for all University benefits. Part-time employees working less than nineteen (20) hours per week and/or four and one-half months are not eligible for any University benefits. However, they do qualify for unemployment and worker’s compensation. Employees and Jackson State University are required to contribute toward Social Security benefits from the first day of employment. The amount deducted from an employee’s wages are considered a social security tax used, together with the University’s contribution, to fund benefits. Employees need not apply for this benefit or payroll deduction — it is taken automatically by the University. Both the employee’s and Jackson State University’s contribution rates are established by law and represent a percentage of earnings up to a maximum amount. All injuries, regardless of how minor, should immediately be reported to the employee’s supervisor. The supervisor should complete a Report of Injury Form and direct the employee to the University’s Health Center to complete a B-3 Form. Major medical leave and personal leave will be used when an employee is injured on the job. From I-55, take exit 98B. The phone number for the switchboard is 601-987-4200. During the 1972 Regular Session of the Mississippi Legislature, House Bill 455 passed. This bill established the State Employee’s Health and Life Insurance Plan. This bill made it possible for all state employees to participate in a health and life insurance program. The state uniformly pays 100% of the cost of the basic health plan and 50% of the cost of term life insurance for the employee from their beginning date of employment. Health insurance is available to all full-time and part-time employees who work 20 or more hours per week and a total of four and one-half months. Unmarried dependent children of employees up to 23 years of age, if a full-time student, are eligible for health insurance coverage. Spouses of employees may also be included. The cost of health insurance premiums for dependent children and spouses must be paid entirely by the employee. Rates for these plans, and benefits under the respective plans, are outlined in a booklet that is available in the Office of Human Resources. The comprehensive insurance plan provides health care coverage to each dependent with automatic restoration. Out-of-pocket expenses for usual and customary charges: During each calendar year, the employee pays the first $250 or $500 ($250 if enrolled in a network waiver for accidents), the insurance pays 80% or 85% (if an mployee uses a provider network) and the employee pays 15% or 20% of charges up to $1,500, then the plan pays 100 % of additional charges up to $1,000,000. In-hospital care for usual and customary charges: The employee pays the first $250 or $500 ($250 if they are enrolled in a network) of charges for each confinement. For additional charges, benefits are payable as shown above for out-of-pocket expenses. Catastrophic Illness Endorsements. A choice of two plans is available to cover cancer, poliomyelitis, spinal meningitis, diphtheria, scarlet fever, smallpox, leukemia, encephalitis, tetanus, rabies, tularemia and typhoid. Hospital Indemnity Endorsement. This option may be selected as a supplement to one of the catastrophic illness endorsements to provide an additional $100 direct payment to the insured for each day while confined to a hospital with one of the stated diseases. Intensive or Coronary Care Endorsements. A choice of two plans is available to provide a direct payment to the coverage for ICU (Intensive Care Unit) or CCU (Coronary Care Unit) hospitalization. This coverage begins on the first day for an accident, on the second day for an illness, and may continue for a maximum of 15 days. The period of enrollment for health insurance without having to furnish evidence of insurability is within the first thirty (30) days of employment. Employees on approved leaves of absences without pay or who are laid off from time-to-time, may apply for continuation of health insurance coverage under the Consolidated Omnibus Budget Reconciliation Act of 1985 (COBRA). Premium payments for COBRA should be made to the health carrier’s third party administrator by personal check or money order. Employees on a nine (9) month contract will have the cost of 12 monthly premiums for health insurance consolidated into nine (9) monthly payments. Requests for changes in coverage (adding or deleting dependents, marriage, etc.) may be filed on the Application for Change which may be obtained from the Office of Human Resources. Changes must be made within one month of occurrence. Employees are issued identification cards shortly after enrolling in the plan. The card should be carried at all times and presented to the physician or hospital whenever medical service is sought. Claims are processed by the hospitals or physicians who are members of the Providers Network and mailed to the third party administrator for direct payment to either the provider of medical care or the patient. Group Life insurance is through the State and is available to all regular employees at 50 percent of the premium cost paid by the employee and 50 percent paid by the University. The amount of term life insurance for each active employee shall not be in excess of one hundred thousand dollars ($100,000.00), or twice the amount of the employee’s annual salary rounded to the next highest one thousand dollars ($1,000.00), whichever may be less, but in no case less than thirty thousand dollars ($30,000.00). The monthly premium is $.30 per $1,000.00 of life insurance coverage. The coverage is double the face amount for accidental death. The life insurance also provides for accidental dismemberment. The schedule of dismemberment coverage is provided in the life insurance booklet available in the Office of Human Resources. Coverage is effective upon the beginning date of the insurance application. The State Retirement Board operates a deferred compensation program for all state employees, whereby employees may elect to deduct a minimum of $15.00 per month from their payroll checks and invest it in one or more of five annuity program options. No state or federal income tax is withheld from the portion of salary that is deducted from monthly or bi-weekly payroll checks. Employees interested in this program should contact the Office of Human Resources or the Public Employee’s Retirement System for details. The University is anxious for the health of employee to be safeguarded in every practical way. On all medical and health matters, employees, for a nominal fee of $2.00 per month for single coverage and $5.00 per month for family coverage, are entitled to services provided by the Z. T. Hubert Health Center located on the campus. The Health Center, staffed by physicians, a registered nurse and licensed practical nurses, is open from 8:00 a.m. to 5:00 p.m., Monday through Friday. The Health Center’s staff have consultation hours on Monday, Tuesday, Wednesday, and Friday from 9:00 a.m. to 10:00 a.m. and Monday through Friday from 1:00 p.m. to 2:00 p.m. The University has a flexible benefits/cafeteria plan which was established under provisions of Section 125 of the Internal Revenue Code. The Cafeteria Plan allows staff members to pay certain insurance premiums, major unreimbursed medical expenses before tax rather than after tax dollars. Employees may choose to participate in the plan at the time of employment or at the annual enrollment which is held just prior to July each year. Staff members are encouraged to take advantage of the vast number of academic courses offered by the University. These courses offer a variety of opportunities for personal and professional/career development. 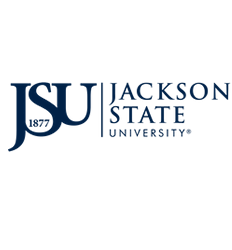 Full-time staff of Jackson State University who qualify for admission may, with the approval of the immediate supervisor, have tuition and general fees remitted for two courses (including accompanying laboratory) per semester or per summer session. The dependent tuition waiver policy applies to all single, dependent children of full-time faculty and staff and full-time employees of the Board. In order to receive a waiver for 50 percent of the total tuition, the dependent must gain admission to the university and make a formal written request to the Office of Human Resources. Single dependent children of continuing employees hired prior to July 1, 1977, are eligible for full waiver of undergraduate tuition because of the grandfather clause included in the April 28, 1977, minutes of the Board of Trustees of State Institutions of Higher Learning.